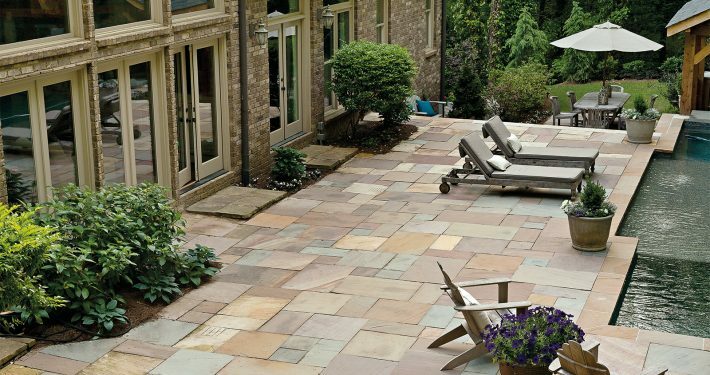 Outdoor Warehouse is a stocking distributor of Natural Paving USA – Classicstone product. 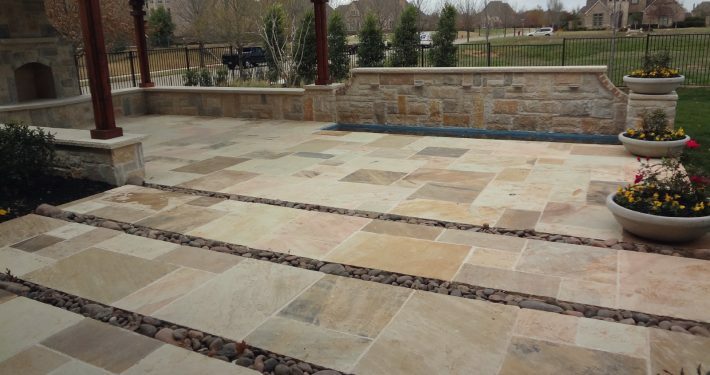 This is a natural stone paver fabricated from high quality Indian sandstone. 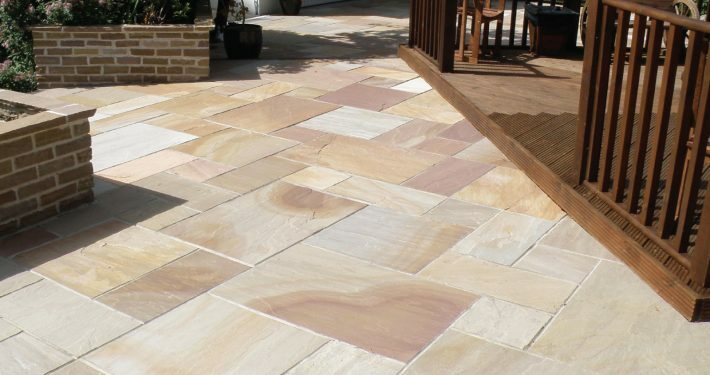 Each stone paver within this range is distinct, with unique and varying color palettes, differing riven surfaces, natural veining and occasional fossil prints. All of the Classicstone products from Natural Paving come in a calibrated to 1″ in thickness, making the installation process simple. 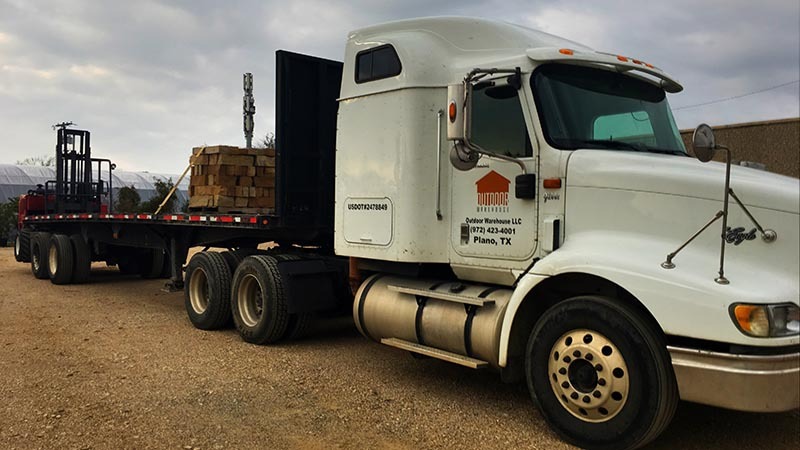 The product can be dry laid, like a concrete paver; or wet laid with cement or thinset.